Complete this form to set up your IRS payment plan! When a person owes the IRS money that they can’t pay in full, they typically will qualify to deal with the debt via a payment plan. This payment plan is called an “installment agreement” in IRS terminology. Simply stated, an installment agreement is a contract with the IRS to pay the taxes you owe within an extended time frame. There are many types of installment agreements, but two of the most common are the guaranteed and streamlined variety. Collection Information Statement (financials) Not required. Payment Method Direct debit payments or payroll deduction is preferred, but not required. Determination not required for assessed balances up to $25,000. Determination is not required for assessed balances of $25,001 – $50,000 with the use of direct debit or payroll deduction agreement. If taxpayer does not agree to direct debit or payroll deduction, then they still qualify for Streamlined IA over $25,000, but a Notice of Federal Tax Lien determination will be made. The criteria discussed above also apply to business taxpayers, but only for income tax debts up to $25,000. So what if you owe more than $50,000 as an individual or $25,000 as a business? Well, this is where the “expanded installment agreement” comes into play. From late 2016 through late Fall of 2018, the IRS tested “expanded” criteria for the streamlined processing of taxpayer requests for installment agreements. During the test, taxpayers who owed more than $50,001 but less than $100,000 were allowed to use most of the criteria outlined under the streamlined installment agreement. Well, based on test results, the expanded criteria for streamlined processing of installment agreement requests were made permanent. If you are a practitioner, you can find the “new” criteria in IRM 5.19.1.6.4.11 (09-26-18 update). Payment Method Direct debit payments or payroll deduction is not required; however, if one of these methods is not used, then a Collection Information Statement is required. The criteria discussed above also applies to all out of business sole-proprietorship debts between $50,001 and $100,000. Do you owe the IRS and need to enter into a resolution option? Check out this page of our website where you can receive our special report entitled 5 Questions To Ask Any Tax Resolution Firm Before Paying Them A Dime, a comprehensive 30-minute Tax Debt Settlement Analysis AND your personalized Tax Resolution Plan (a package valued at $175, but FREE to you for a limited time). You can also visit this page to read about how you can find out the date (i.e. CSED) the IRS will write off your tax debt! This entry was posted in IRS Talk and tagged Collection Statute Expiration Date, CSED calculating service, how can I find my CSED date, how to find csed irs, IRM 5.19.1.6.4.11, IRS "Expanded" Installment Agreement, irs 72 month installment agreement, irs 84 month installment agreement, IRS Collection Statute Expiration Date (CSED), IRS Form 433-D, IRS guaranteed installment agreements, irs installment agreement over 50000, irs installment agreement requirements, IRS payment plan, IRS streamlined installment agreement, Streamlined Installment Agreement Expanded, What is a streamlined installment agreement? 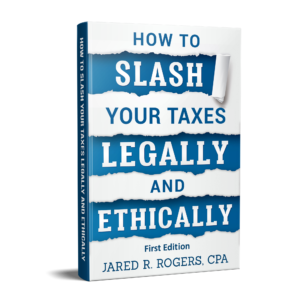 on November 26, 2018 by Jared R. Rogers, CPA.